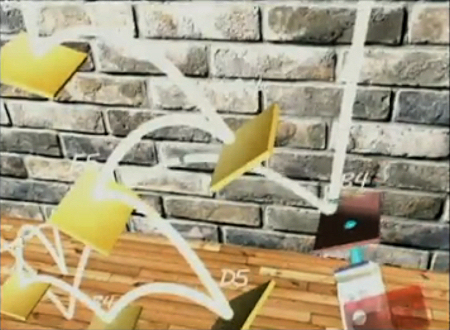 With ARmonica, two players bounce virtual balls off musical note bars using Wii remotes. Augmented reality (AR) places interactive, virtual objects and effects over the real world, and it has huge potential for gaming. Imagine wearing an AR headset to play chess with animated virtual pieces on a real chess board, or to fight computerized zombies running into your own home.